Enrollment and member insights provide for a healthy experience. Over the last decade there has been tremendous growth in the use of data analytics to make vital decisions about how customers use products and services. The trend is most prevalent in industries awash with data—think telecom and financial services. And recently, health insurance companies have begun applying advanced analytics to gain insights about how best to serve members. The industry can greatly benefit from the use of data analytics to assist members in an environment that is in flux, subject to surges, and concerns individual well-being. Healthcare, however, is relatively new when it comes to dealing with consumers directly, so the industry in general lags behind more direct-to-consumer areas like retail and automotive. To properly manage and utilize the potential of data in individual health insurance, leaders need to prioritize opportunities and properly and ethically apply insight. For example, a better understanding of the end-to-end member experience at the individual level can help analysts further refine and improve healthcare enrollment and individual managed care journey so that members can better oversee their health. The experience must be consistent, comfortable, easy to use, and interactive. 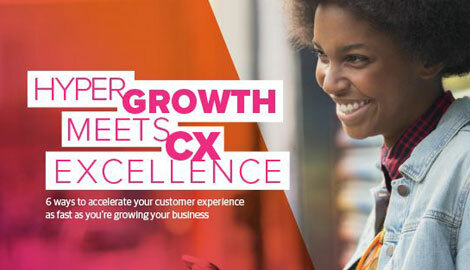 Increasingly, progressive payers are hiring chief customer experience officers and other senior leaders who prioritize member experience by leveraging best-in-class practices normally found in retail and financial services. They include consistent, proactive communications that follow a recommended cadence, availability in multiple channels, and integration of inbound activities that are initiated in response to these communications. One such innovation is improved contact center analytics and direct response analysis related to enrollment. Common metrics analyze the time, duration, and routing of potential enrollee calls. Although this type of reporting is more about operational efficiency, these metrics can also help healthcare leaders refine call-routing and scripting, which enhances the member interaction by reducing customer hold times and routing calls to the most appropriate associates. Analytics can also be used to refine target marketing to potential healthcare enrollees, which can be tracked and measured for likelihood to respond. Insights collected can improve response rates through predictive modeling for future campaigns, saving the payer resources without wasting consumers’ time. The analytics involved with this tactic is two-fold: improve targeting of potential new members at the tip of the sales funnel and create data points at the back end of the funnel after new customer acquisition, allowing for in-market testing results that can be applied to marketing campaign optimization and targeting model validation. Another area of untapped opportunity is the development of comprehensive programs based on the voice of the member. Voice-of-the-member analytics helps ensure that individual healthcare leaders can further understand what their members think of them during the health insurance enrollment and the ever-important post-enrollment period. These analytics pull from multiple data sources across “always-on” listening posts, including open-ended survey responses, verbatims from contact center interactions, sentiment, chat rooms, and Facebook data. The data collection and fusion help with delivering custom, individualized communication that can be used to set up early warning detection, which can be helpful in CMS Star ratings, managing enrollment disputes with new members, and better monitoring rapid disenrollment while improving the overall individual healthcare member experience. Today, there is a mashup of many different, disconnected communications for members, such as direct mail pieces, bills and explanation of benefits from multiple providers, and electronic portal updates that may not match. A typical member may get a letter in the mail with a vague explanation of personal testing from a radiology office, for instance, followed by a separate bill from the urologist for a random amount, a summary of a radiology visit in a physician-patient portal, and a conflicting record in the insurance portal that may or may not also be related to the radiology visit. For the consumer, it’s hard to understand it all. Who is responsible for which part of the experience? How much does all this cost out of pocket? How do I keep track of that against multiple deductibles and/or copays or coinsurance? For even those of us in healthcare it is confusing, inconsistent, and not always comfortable. With comprehensive healthcare analytics programs in place, payers can look to refine patient portals and streamline communication to allow for more self-service and value-added features for members, accessed on any device. Firms that offer digital master data management platforms complete with strategic consulting and insights delivery can help health insurers leverage data insight available in the patient portals with proactive next-best-action recommendations based on the entirety of the member’s experience. Imagine a healthcare customer logging into her patient portal who hasn’t been to her primary care doctor in over a year. The portal contains years of customer records and treatment history. The customer will be offered choices for her individually recommended, doctor-prescribed next best action to take based on her comprehensive medical history, along with other factors such as age, time since last visit, mortality risk, etc. Predictive models and tool development in analytics may lead to insight about new offerings that will further shape the industry’s evolution, making health insurance coverage easier to use and understand. And remember, health- care analytics, when focused on the individual, adheres to strict privacy guidelines to protect consumers from fraud or stolen identity. This ties back to the importance of creating and delivering a valuable end-to-end experience. The healthcare experience is complicated and crosses many players—insurers, doctors, hospitals, pharmacies, and more. It can be confusing and sometimes scary for consumers. The lines between partners blur, as does data related to that experience. Yet consumers now expect the same level of service they get at consumer-oriented companies like Amazon. Analytics can help firms create experiences that are holistic, centralized, consistent, and easy to use. Consumer insights are already at work at a number of payers. One Blue Cross Blue Shield plan we work with consistently uses personal URLs (pURLs) to market to its existing 65+ member base, providing a more personal and on-point message for its members as they re-enroll annually, all driven by targeted marketing analytics. Response rates to pURLs when compared to traditional direct mail average double the response rate of mail. And in another example, a payer uses speech analytics so voice recordings of enrollment calls can be converted to text and then parsed for keywords that indicate possible member dissatisfaction, allowing the company to proactively build member case files that can help in the event of a member dispute. The healthcare industry has always been about people, and in these moments interactions can often be stressful and confusing. Data insights and individual recommended next best action can help make their experience seamless and more efficient.